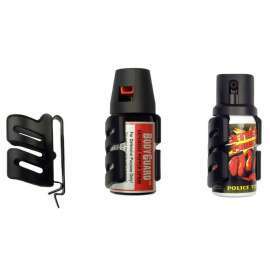 Universal Swivelling holder for pepper sprays with vessel diameter 35mm. 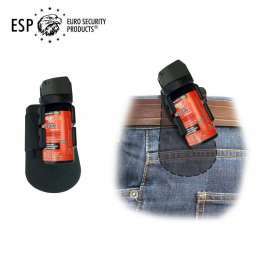 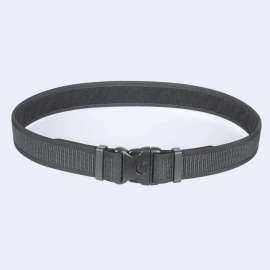 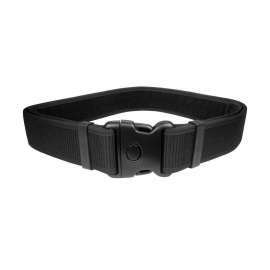 Allows secure and firm fixation on a belt with one hand only and without necessity of unbuckling the belt. 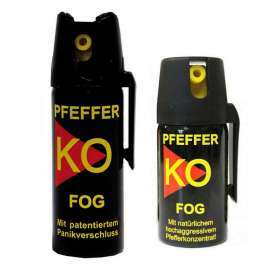 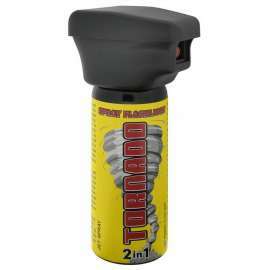 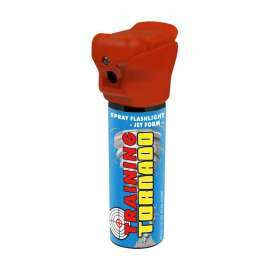 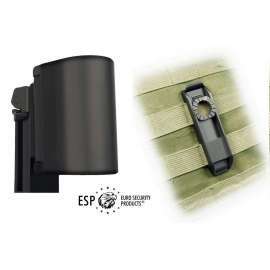 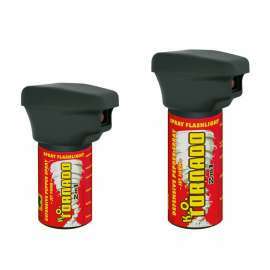 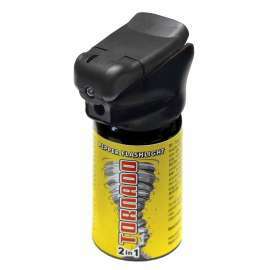 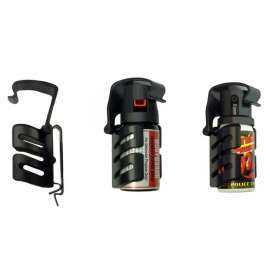 With a spring blade which firmly holds the aerosol in the holder. 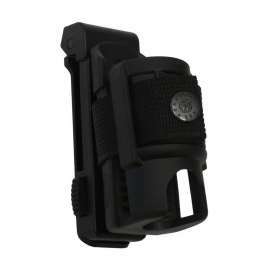 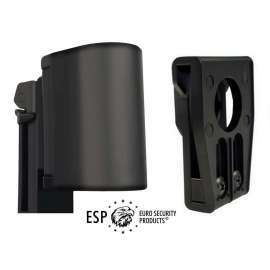 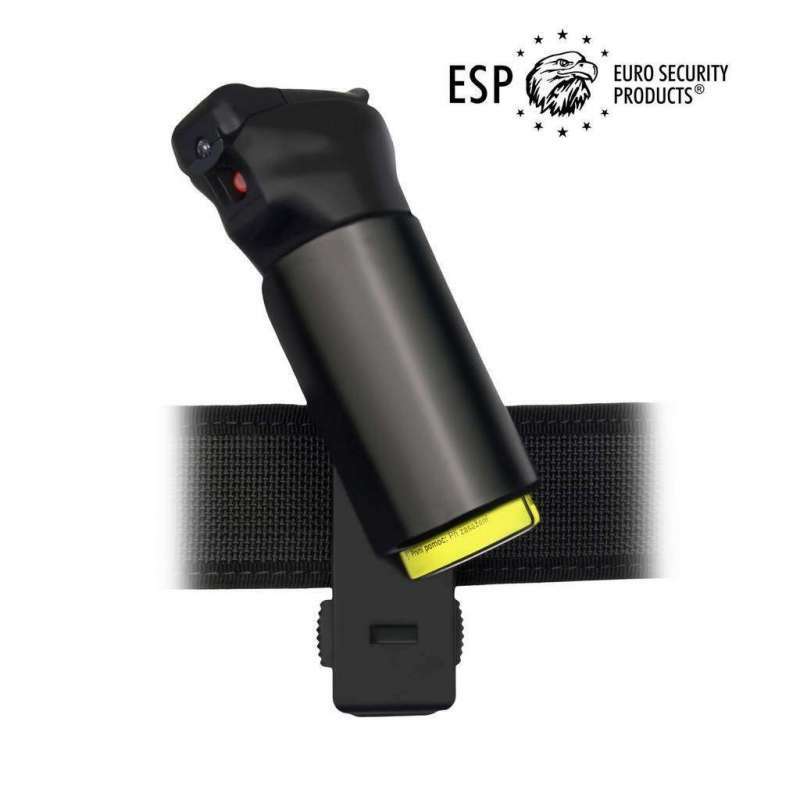 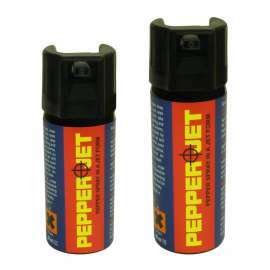 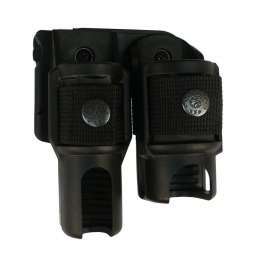 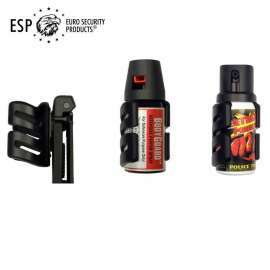 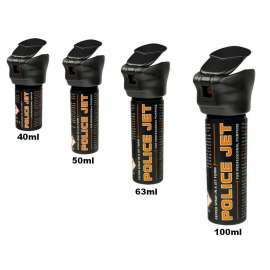 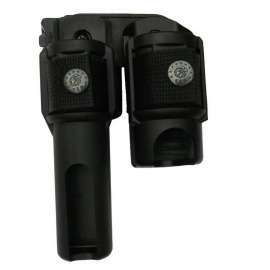 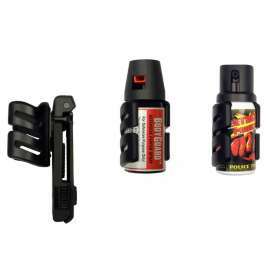 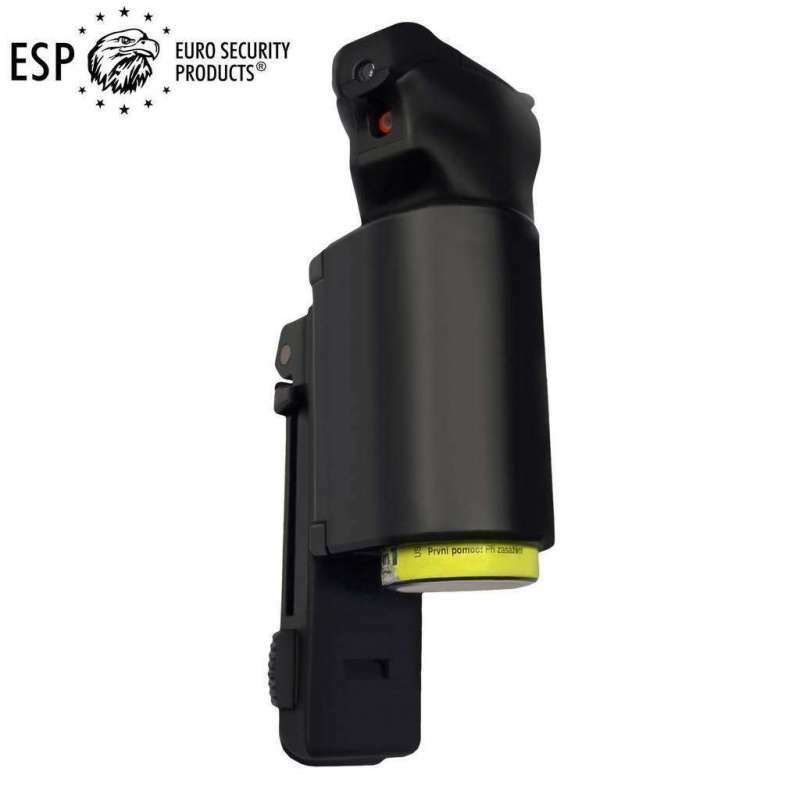 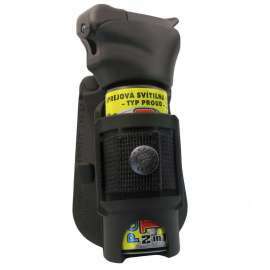 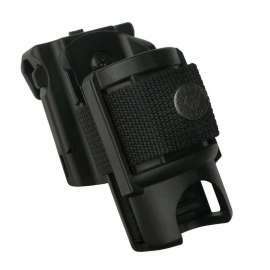 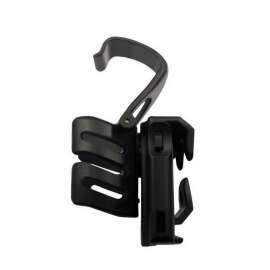 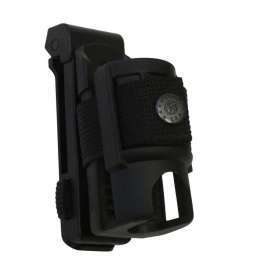 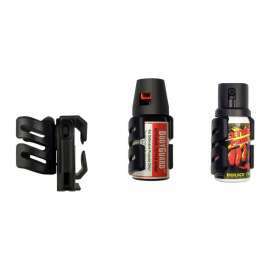 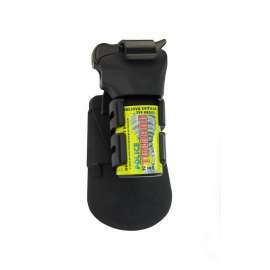 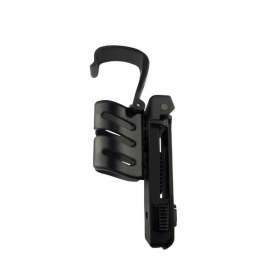 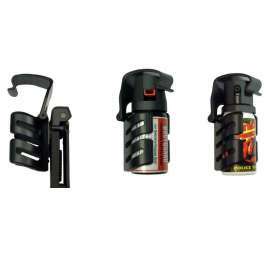 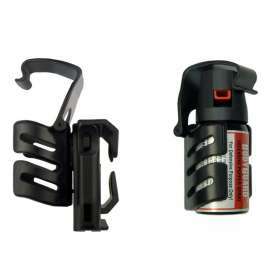 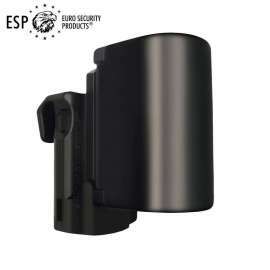 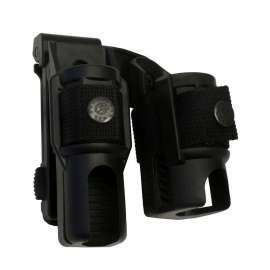 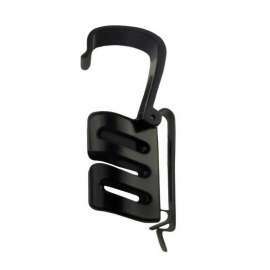 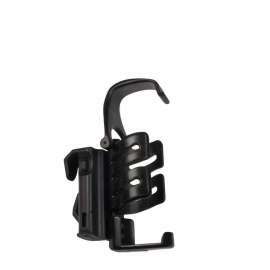 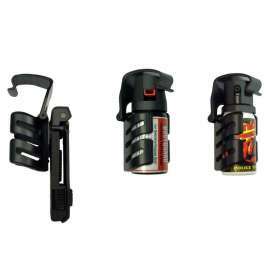 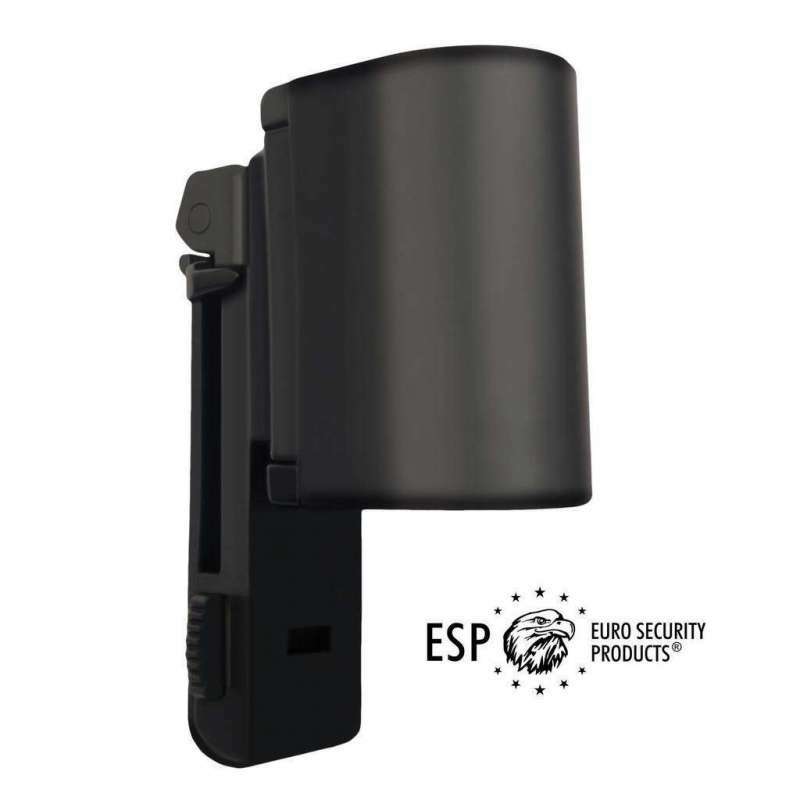 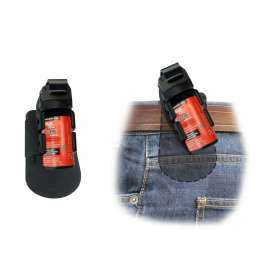 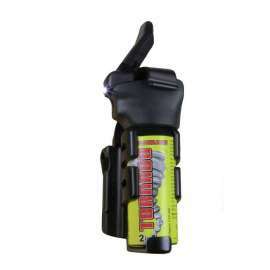 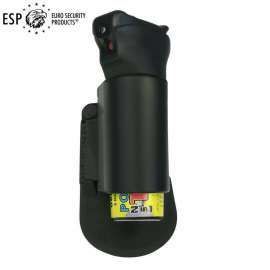 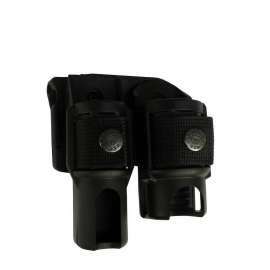 SHU-18: Universal Swivelling Holder has been designed for professional use of Defensive Pepper Spray.